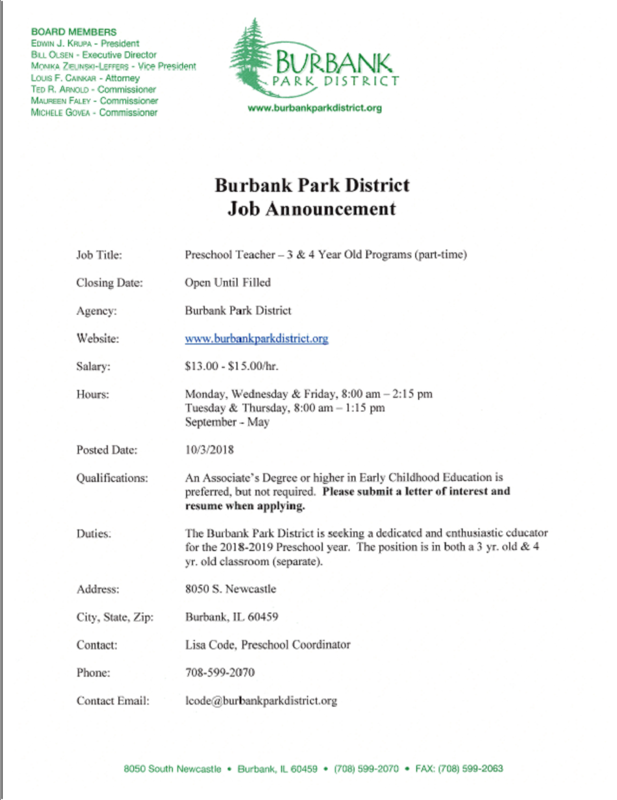 The Burbank Park District is always looking for talented and dedicated people to add to our staff. Our needs fluctuate seasonally and can change based on program numbers and event-specific details. Stop by and fill out an application any time.